Jill started running many years ago because she believes in the philosophy of a sound mind in a sound body. While in graduate school, she started taking aerobics classes which she liked so much that clubs asked her to please teach, which she has been doing since 1986 at more than 30 clubs in Boston, Washington DC and Chicago. She was awarded the FitCorp Citation for Excellence in Teaching and cited by Allure magazine as one of the best instructors in the country representing Boston. 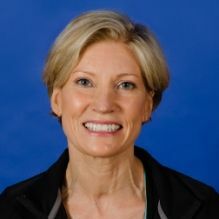 She holds certifications from ACSM, AFAA, the Cooper Institute for resistance training, Johnny G, Schwinn and Keiser for indoor cycling, Pilates, KettleWorx, BodyShred, BOSU, Core Board, Zumba and gravity training. Jill views exercise as a means to a long and healthy life and wants everyone who takes her classes to walk out a little happier and a little healthier.